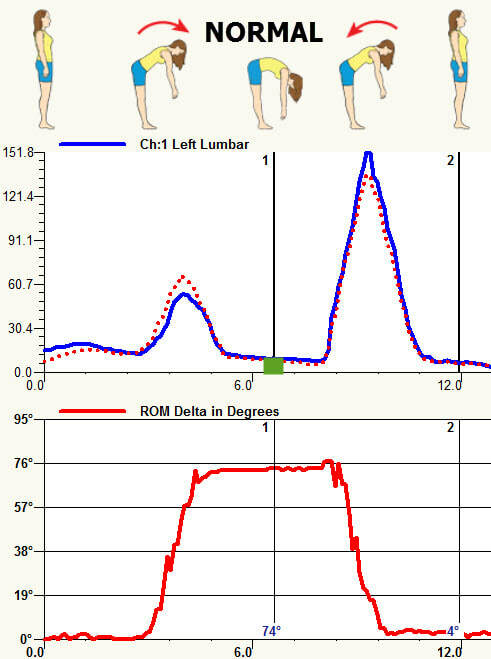 Interpretation of DynaROM evaluations is easy: You simply need to determine what a muscle should do in each motion, and the interpretation becomes clear. Review & download the draft Interpretation Guide below. This will aid you in understanding your test results. Review the table contents for interpretation basics. 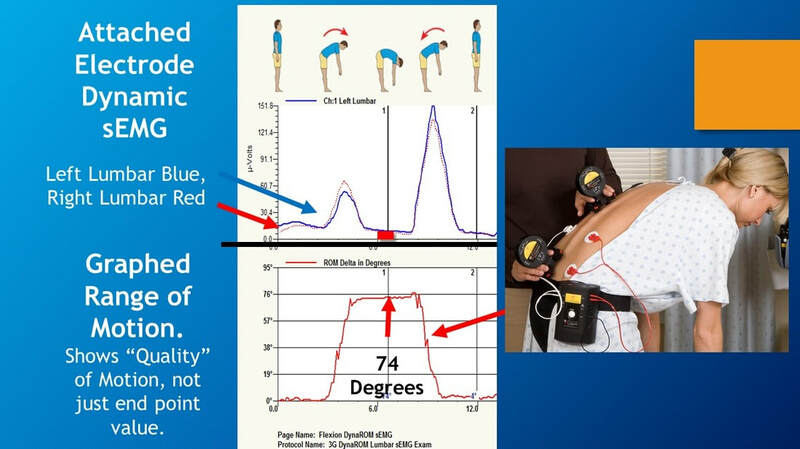 Watch the video interpretations below for a live walk through of various test results. 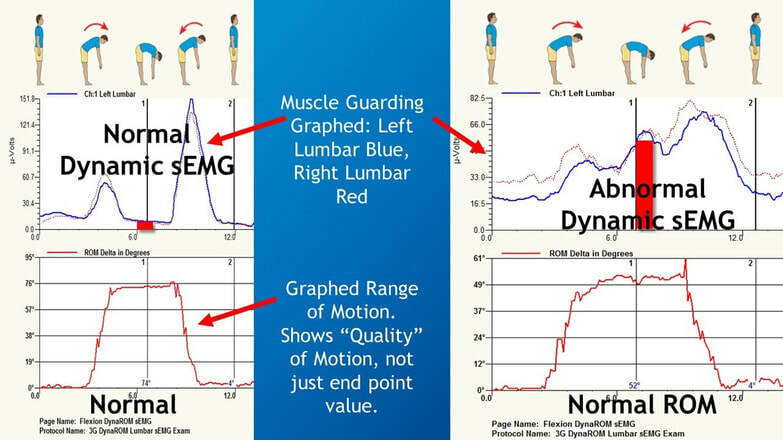 There are 2 tests happening at the same time: Muscle Guarding (top graph) and Range of Motion (bottom graph). With plane motions, left and right side traces should match closely throughout the motion. For example: in forward flexion, left and right sides of the lumbar paraspinals should fire the same throughout the motion. 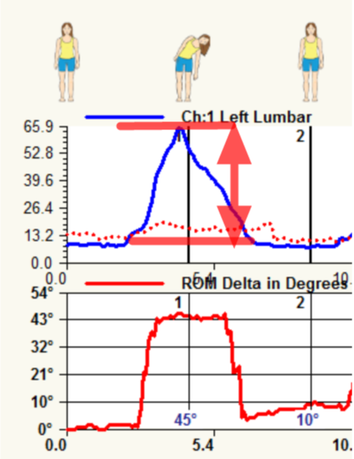 ​With Asymmetric Motions, muscles of left and rights sides should fire the opposite while in motion. 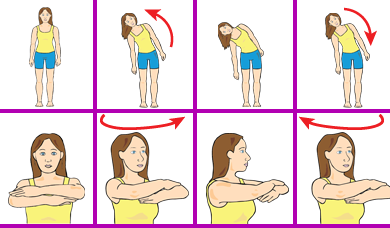 For example: in left rotation, one side initiates the motion, the other side relaxes (as it is not required to perform the motion). Look at flexion first, then lateral flexion and rotations. Helps establish if patient is acute or not. 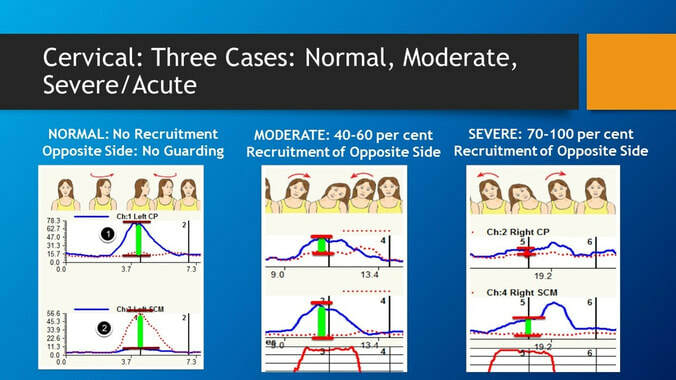 The videos below show the various types of tests you will likely encounter and how to interpret them.